argentinean artist juan gatti isn’t normally known for his anatomical collages, but rather for his fashion photography and graphic design. he often collaborates with filmmaker pedro almodovar. i remember when i first came across his work a year ago, i instantly fell for it. i love his style of work, it’s so rich and full of detail and action. it’s like each piece is it’s own little world, full of flowers, butterflies, birds and anatomy. if you know me at all, you’ll know these things most definitely appeal to me! 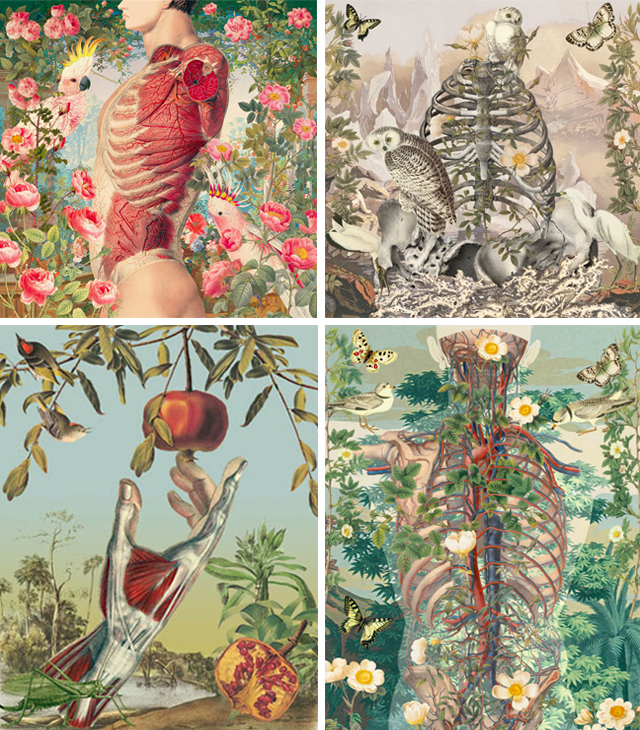 do you know of any collage artists that use anatomy and nature in their work? let me know!